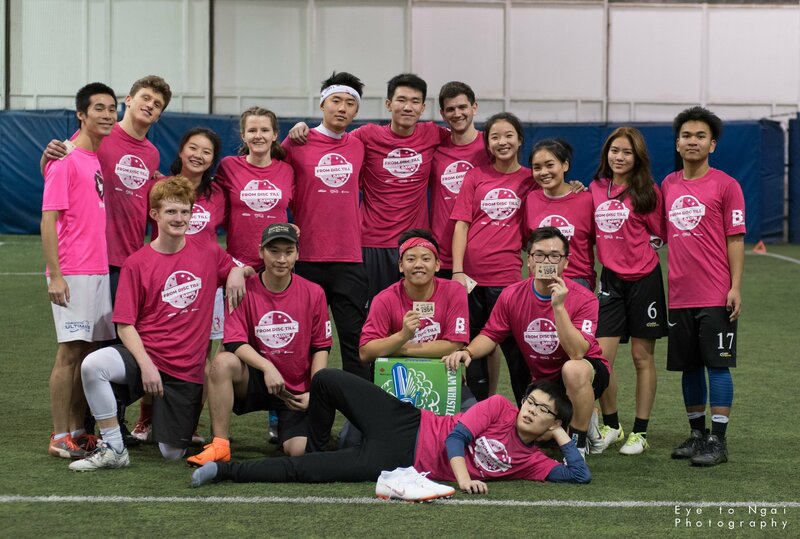 Congratulations to this year's champions, the pink team! We hope to see you all next year! See below for tournament details. From Disc Till Dawn is TUC's annual winter overnight event! Each participant will receive a special edition BE Ultimate jersey and an UltraStar disc from Discraft. Please register prior to Thursday, November 29th to confirm shirt sizing; the remaining shirts will be a mixed bag trending towards medium sizing. Please note that since jerseys and discs are ordered for each individual participant, refunds requested on or after November 29th depend on the ability to find a replacement (as the order will have already gone in). TUC reserves the right to provide no refund if there is nobody to fill your spot. Refunds prior to November 29th are subject to a 10% administration fee. Registration Status: As of 8:00am on December 10, registration for this event is FULL! If you are interested in a spot, you can still join the waitlist in the event that someone drops out.